In her installations, Sonia Leimer explores our perceptual foundations, which are formed on the basis of individual, historical, and media-related patterns of experience. As products of concrete historical contexts, rooms and objects undergo a transformation in which history and societal changes become palpable. Sonia Leimer lives and works in Vienna. 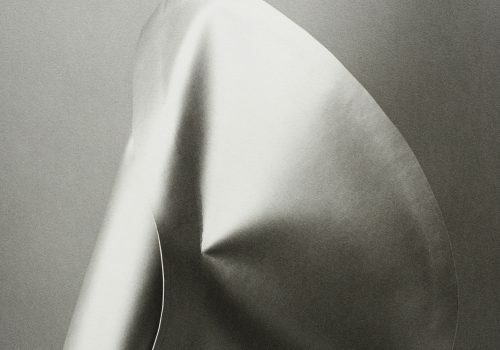 She studied architecture at the Technical University of Vienna and the Academy of Fine Art Vienna. From 2007 to 2012, she hosted a radio titled City and the Image. 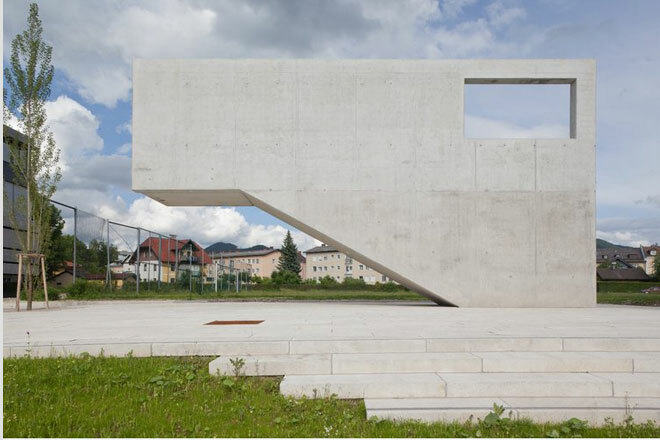 She taught at the Academy for Art and Photography together with Martin Guttmann from 2012–2016. 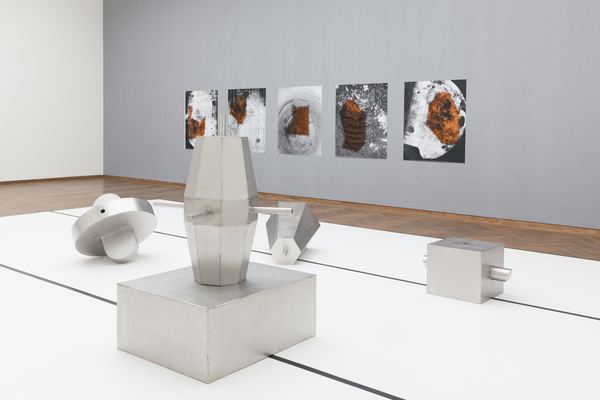 Leimer exhibited her work internationally at Leopold Museum, Vienna; Galerie nächst St. Stephan, Vienna; Ludwig Forum für Internationale Kunst, Aachen; Barbara Gross Galerie, Munich; Los Angeles Museum of Art; 5th Moscow Biennial; artothek, Cologne; Museion – Museum of Modern and Contemporary Art of Bozen, Italy; MAK Center for Art and Architecture, Los Angeles; Kunstverein Basis, Frankfurt; BAWAG Contemporary, Vienna; Salzburger Kunstverein; and Manifesta 7, Rovereto. 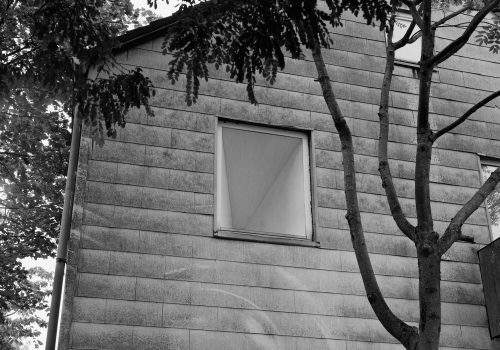 Sonia Leimer, Undefined Building Project, 2013, Art in public space. 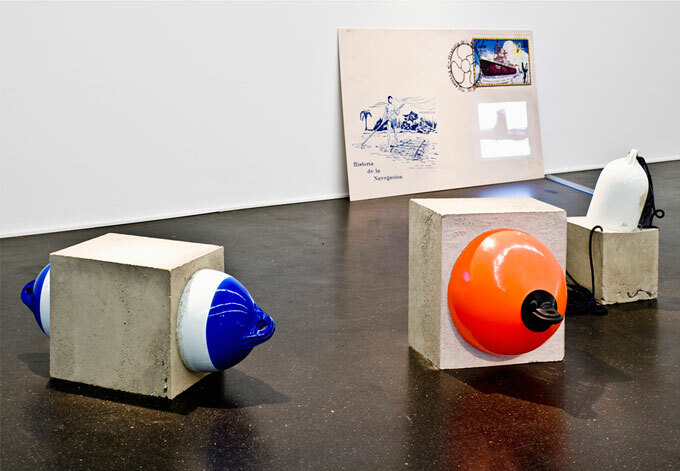 Sonia Leimer, New Land / Nowaja Semlja / Neues Land, 2015, Installation. Sonia Leimer, Conquest of the Useless, 2017, Installation. 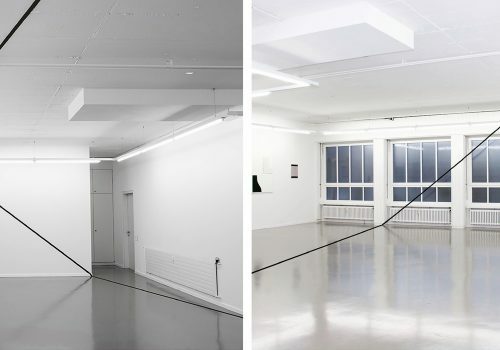 Sonia Leimer, Unstable on Instable, 2017, Installation. 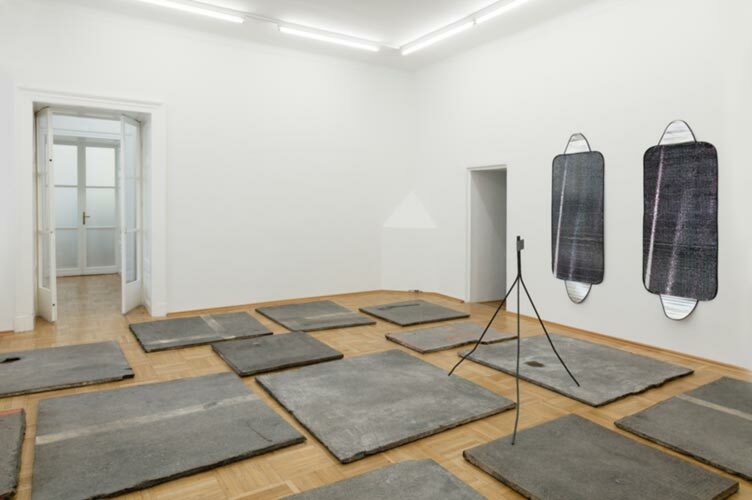 Sonia Leimer, Untitled (Vorgartenstrasse, Engerthstrasse, Paradiesgasse, Aumannplatz, Mooslackengasse), 2015, Installation. 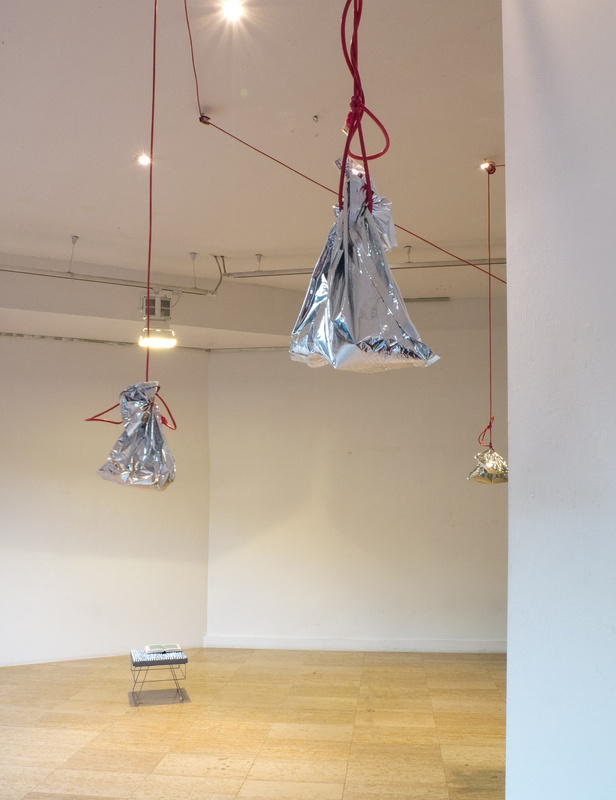 Elli Kuruş critically examines the development of media and technology, reading the present as material history. 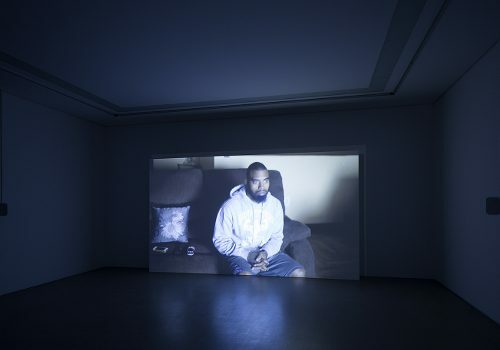 Her artistic and curatorial practice converge into installations, videos, drawings, and lecture performances. In her ongoing project History of Political Operating Systems, she examines the relationship between blockchain technology, ideas of utopia, and the organization of political life. Elli Kuruş is a Leipzig-based collective artist. 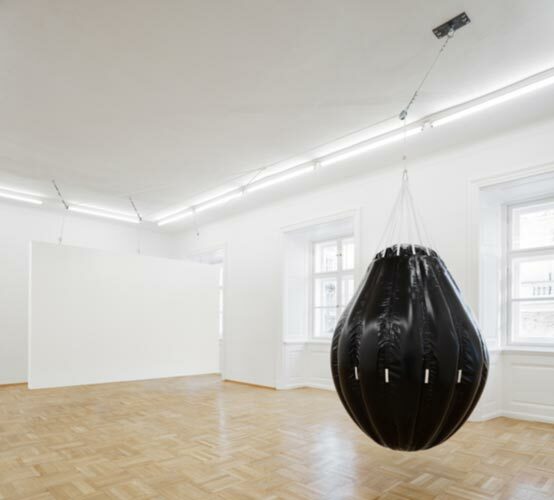 Her most recent solo exhibition Invisible Hand, The Great Book of … was held at Galerie Miroslav Kraljević, Zagreb, Croatia, 2016. 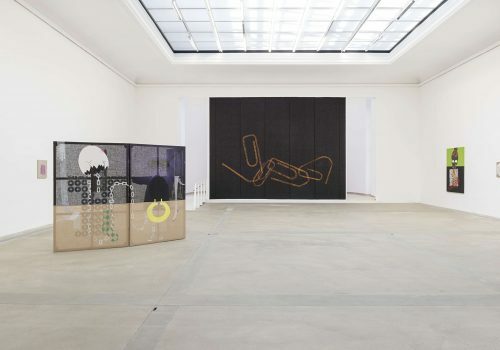 She has shown work in several spaces in Leipzig, Berlin, Basel, and Los Angeles. A chapter of her work on the blockchain will be part of the upcoming book Artists Re:Thinking the Blockchain published by Furtherfield and Torque. 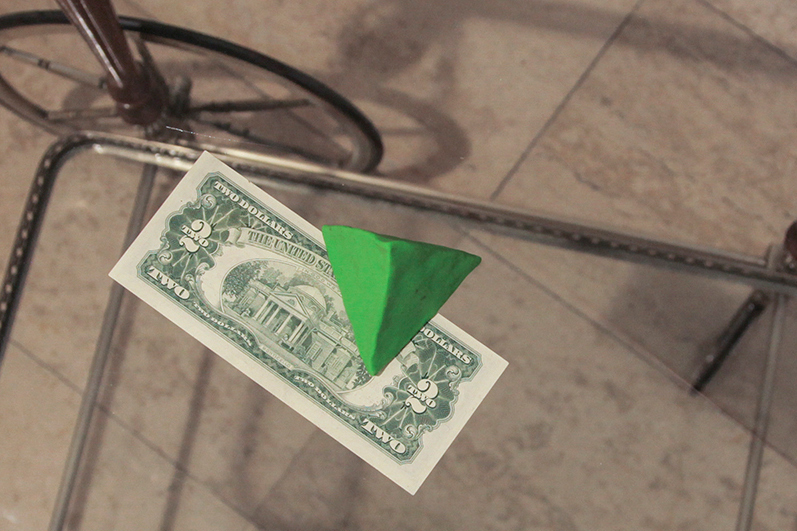 Elli Kuruş, White Balance Mechanism (detail), 2016, Serving cart, two-dollar bill, polymer clay, ethernet cables, deflection pulleys, Californian red wine, and video, Dimensions variable. 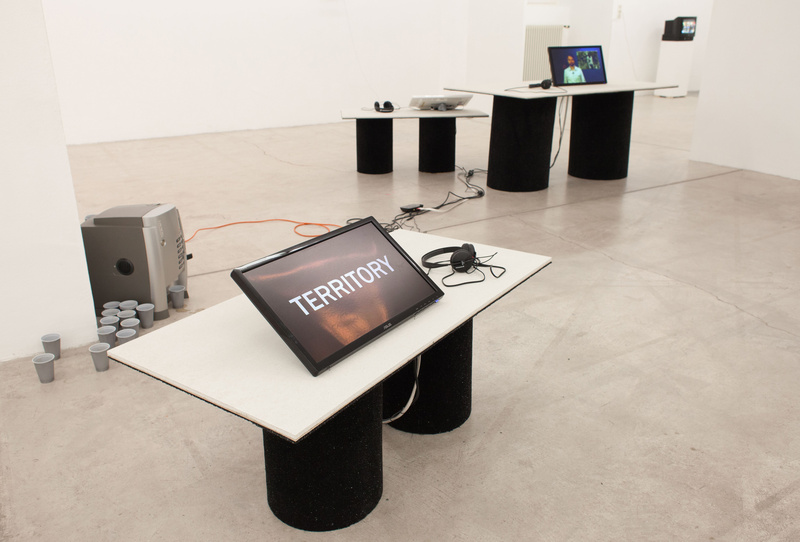 Elli Kuruş, History of Political Operating Systems 304, 2016, 3 videos on flat screens, headphones, polymer clay sculptures, fully automated coffee machine, labels. plastic cups, carpet, floor screed, media player, and cables, Dimensions variable. 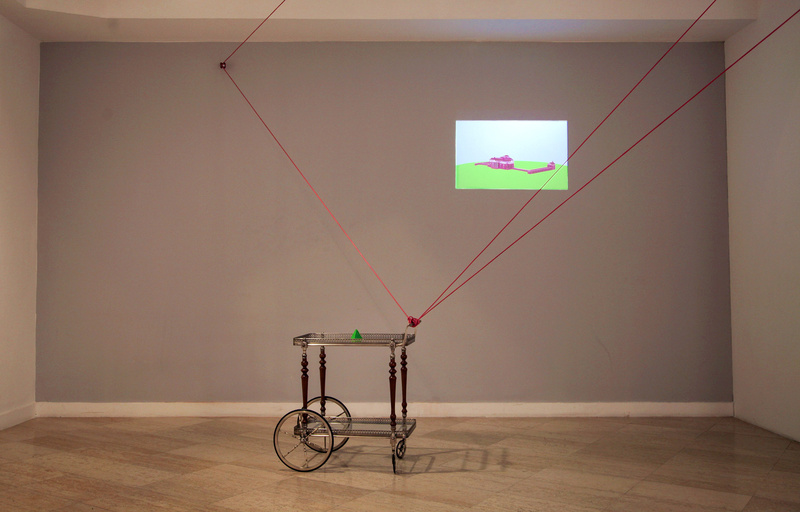 Elli Kuruş, White Balance Mechanism & Prototype, 2016, Serving cart, two-dollar bill, polymer clay, ethernet cables, deflection pulleys, Californian red wine, and video, Dimensions variable. Elli Kuruş, History of the coloured people (excerpt), 2016, Artist‘s book, nail extensions, plastiform, and hanging file folder frame, 121/2 × 14 × 121/2 in. (31.75 × 35.56 × 31.75 cm). Betty Yu is an interdisciplinary artist who uses multimedia platforms to tell the stories of marginalized, underrepresented and underserved people. Her creative work is influenced by her direct experience as a daughter raised by immigrant garment worker parents. 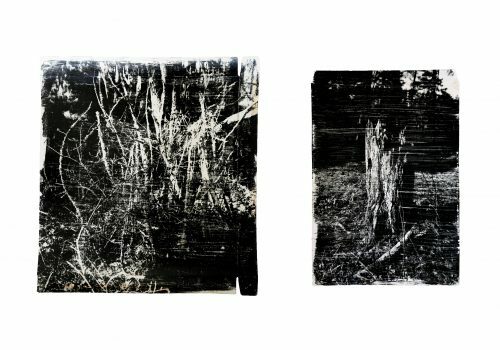 In her artwork, Yu approaches social issues through personal stories, family narrative and community history. Her work has explored issues ranging from labor rights, immigrant justice, militarism and housing equity. In the past several years, Yu’s art projects and installations have allowed her to engage with directly impacted communities through onsite installations, projections, participatory workshops and media production. Betty Yu is an interdisciplinary artist, filmmaker, educator and activist. 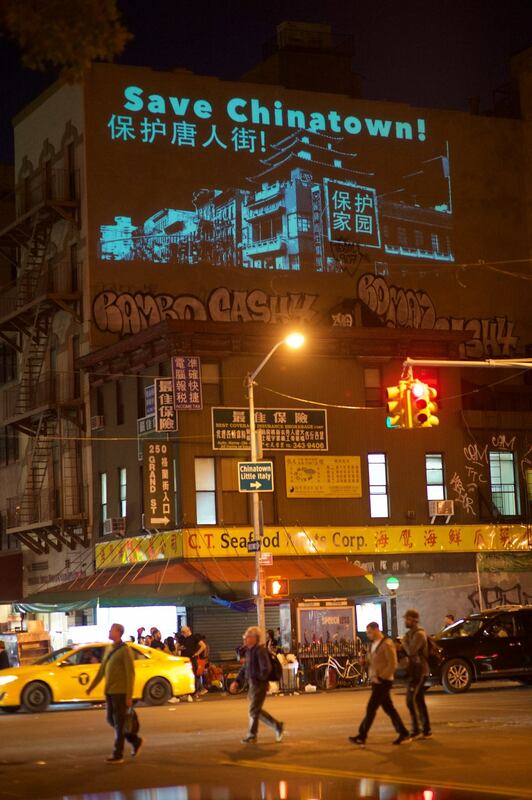 She co-founded the Chinatown Art Brigade, a cultural collective telling anti-gentrification stories of Chinatown tenants through public projections. She holds a BFA from New York University’s Tisch School of the Arts and a MFA in Integrated Media Arts from Hunter College. 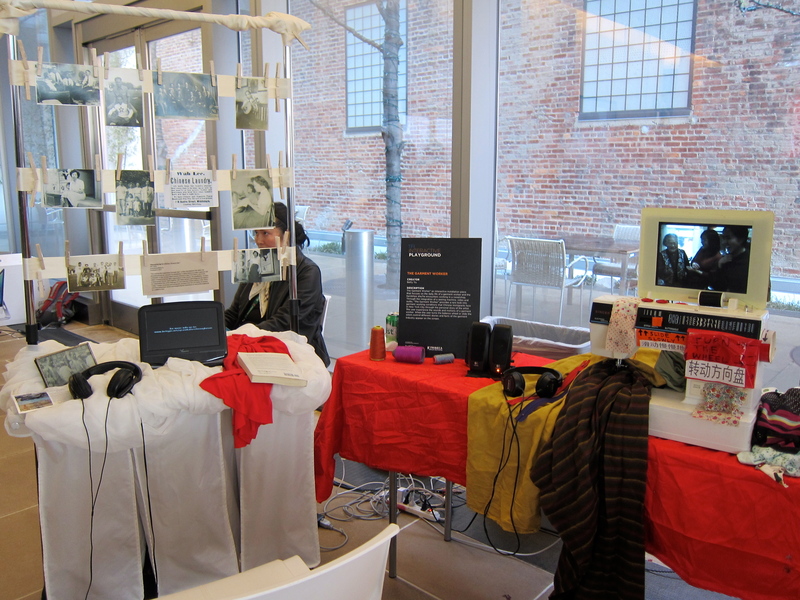 Yu’s multi-media installation, The Garment Worker was featured at Tribeca Film Institute’s Interactive. 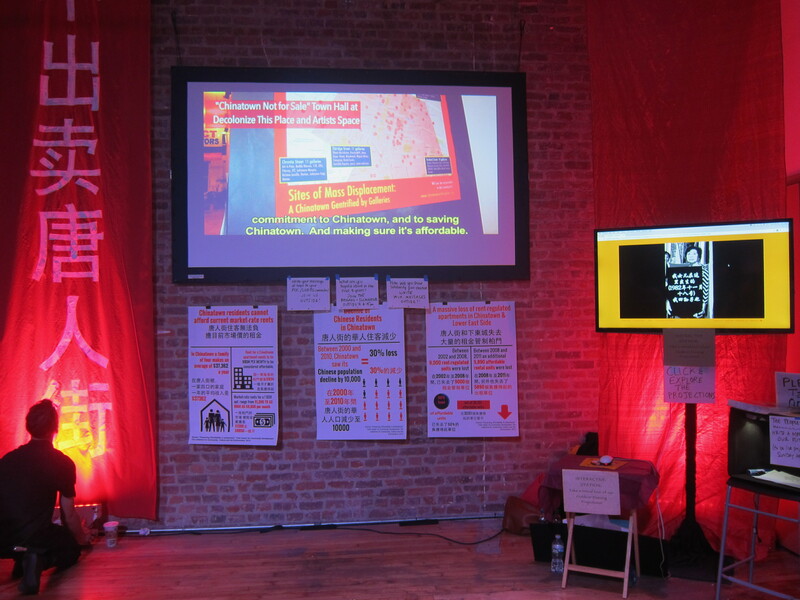 She co-created Monument to Anti-Displacement Organizing, which was on view at the Agitprop! group show at Brooklyn Museum. Yu is a 2016 A Blade of Grass Fellow for Socially Engaged Art and received the 2016 SOAPBOX Artist Award from the Laundromat Project. She has received funding for her projects from foundations including the Paul Robeson Fund, Brooklyn Arts Council, and Art Matters. 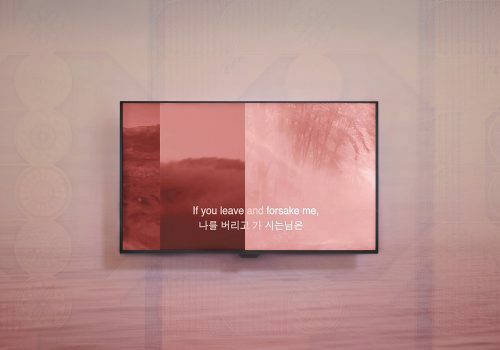 Betty Yu, Here to Stay, 2016, Projection, 30 × 80 in. (76.2 × 203.2 cm). 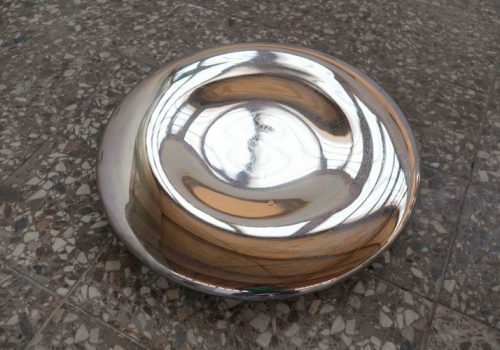 Betty Yu, Here to Stay, 2016, Mixed media, Dimensions variable. 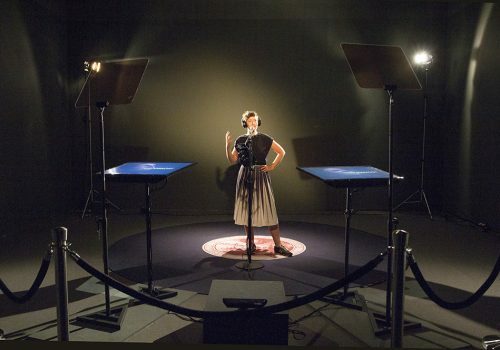 Betty Yu, The Garment Worker, 2014, Interactive media installation, 30 × 20 × 16 in. (76.2 × 50.8 × 40.64 cm). 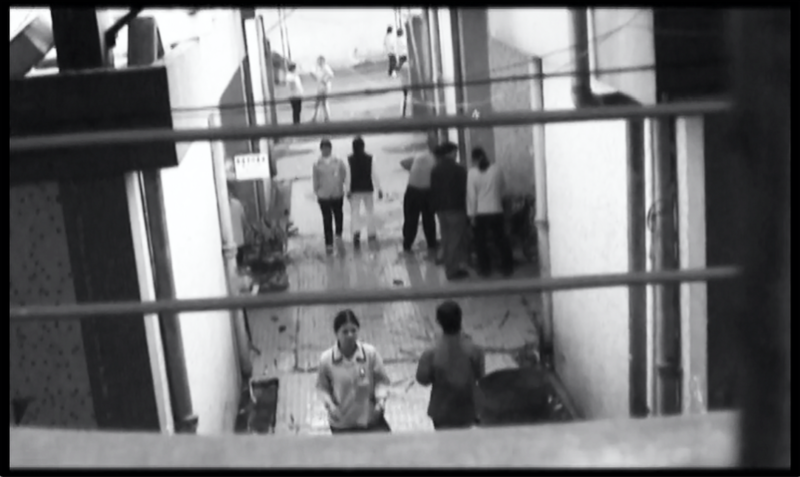 Betty Yu, Letter from Wei Xui Qing, 2015, Experimental collage short film based on memories and letter from a 16-year old Chinese garment worker Wei Xui Qing, 9:25 min.